Celebrating former President Nelson Mandela’s centenary and taking action against poverty, the annual globally celebrated Mandela Day focussed on what is needed to ‘be the legacy’ this year. For Canal Walk Shopping Centre, building the right kind of legacy, means having the right foundation, a sound education. Helping to shape the future of South Africa is the Leap Science and Maths Schools (LEAP) that once again were the beneficiaries of this year’s Canal Walk Shopping Centre (CWSC) #MandelaMosaic event which took place on Wednesday 18th July 2018 in the Centre Court. 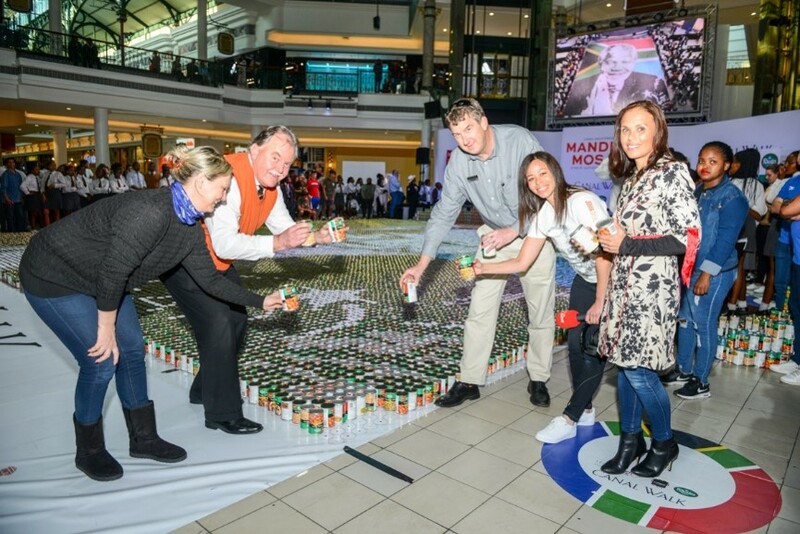 As in years past, Rhodes Quality came to the party with the supply of 29 000 cans needed to build the massive mosaic that was constructed in the Centre Court of the shopping centre. 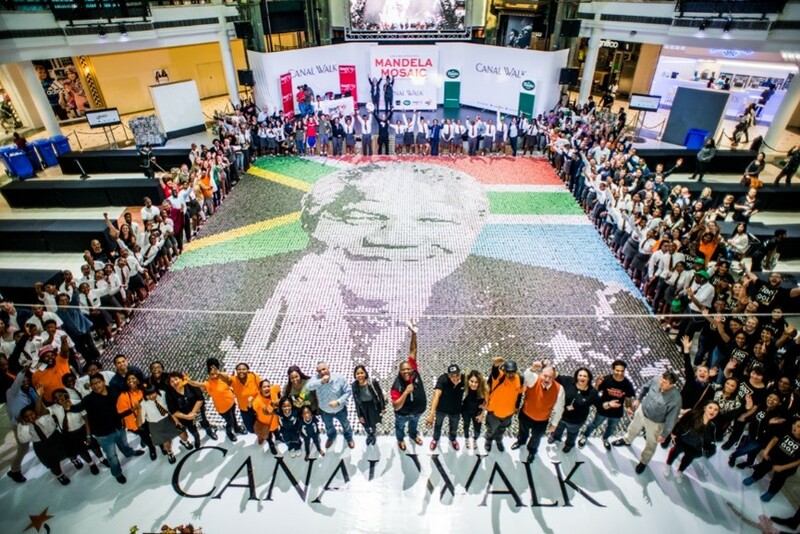 Mandela Day was all about everyone getting involved in doing good, Canal Walk, The Hyprop Foundation, Rhodes Quality, LEAP, public and corporates helped to give a hand to those who need it most by booking space to ‘stack a can’ at this year’s event. LEAP, a non-profit organisation (NPO), is dependent on donor funding to realise its mission to provide quality high school education to children residing in some of the poorest townships in South Africa. 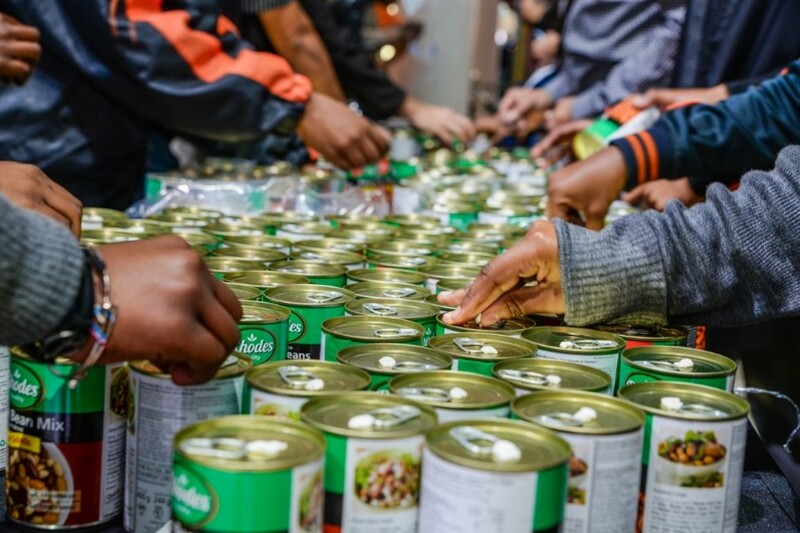 The involvement of corporate companies through sponsorship directly contributed to improving the NPO’s financial sustainability and delivering on its mandate – for example, in the case of their two Cape Town based schools in Langa and Phillipi. By participating, corporates (and individuals) assisted in building a replicable model to help increasing numbers of young people in townships to access quality high school education; support careers in science, technology engineering and maths and truly create the type of legacy Madiba envisaged.